Ever wonder how the Swans did on a particular date in history or wondered which league or competition they played in? Well read on to find out exactly what happened and whenever the Swans played on 28th April! 2 years ago on 28 April 2013 – The Swans lost 2 nil to Chelsea at Stamford Bridge in the Barclays Premier League. 3 years ago on 28 April 2012 – Andrea Orlandi, Joe Allen, Nathan Dyer and Danny Graham all scored as the Swans drew 4-4 with Wolves at the Liberty Stadium in the Barclays Premier League in front of 19,408. 8 years ago on 28 April 2007 – Goals from Lee Trundle and Daryl Duffy saw the Swans win 2-1 at Carlisle United in Coca Cola League One. 14 years ago on 28 April 2001 – The Swans slumped 3-1 to bottom of the table Oxford United at the Manor Ground with Jason Price getting the consolation goal. Matthew Bound was also sent off in this Nationwide League Division Two game. 23 years ago on 28 April 1992 – Shaun Chapple scored for the Swans in a 1-1 draw with Hartlepool United at the Vetch Field in front of a crowd of 2,167 in Barclays League Division Three. 25 years ago on 28 April 1990 – Preston North End beat the Swans 2 nil at Deepdale in Barclays League Division Three. 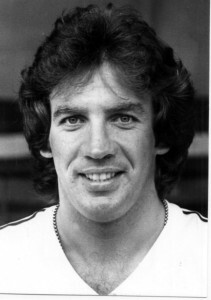 36 years ago on 28 April 1979 – A crowd of 15,941 watched Alan Waddle score a hat-trick to ensure the Swans beat Southend United 3-2 at the Vetch in Football League Third Division game. 39 years ago on 28 April 1976 – The Swans drew 1-1 at Darlington thanks to a 85th minute Wyndham Evans equaliser in the Football League Fourth Division. 44 years ago on 28 April 1971 – Shrewsbury beat the Swans 1 nil at Gay Meadow in the Football League Third Division. Did you see or remember any of these games – if you did then leave a comment with your memories. 28th April 1979 was my first ever Swans game.